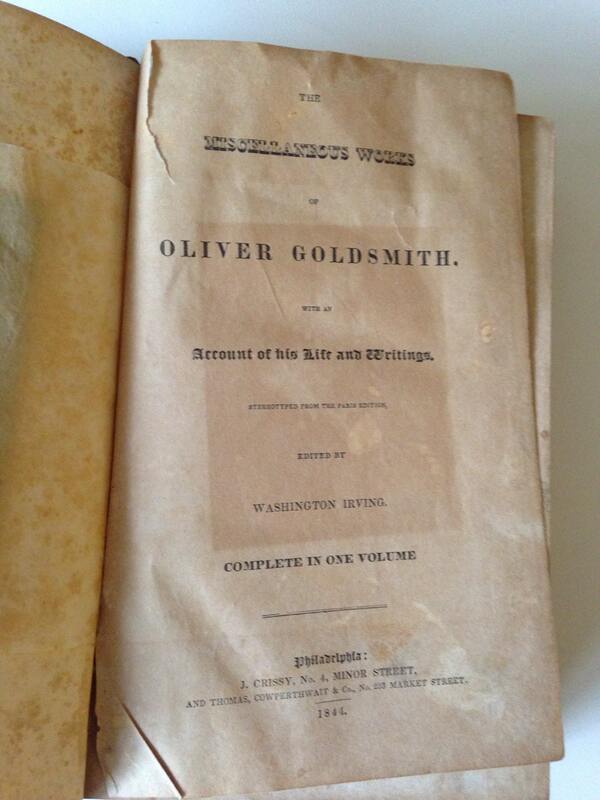 Offered is a leather bound 1844 book entitled The Miscellaneous Works of Oliver Goldsmith with an Account of his Life and Writings, Stereotyped from the Paris Edition, Edited by Washington Irving. Complete in one volume. Published in Philadelphia by J. Chrissy, No. 4 Minor Street, and Thomas Cowperthwait & Co, No. 253 Market Street. 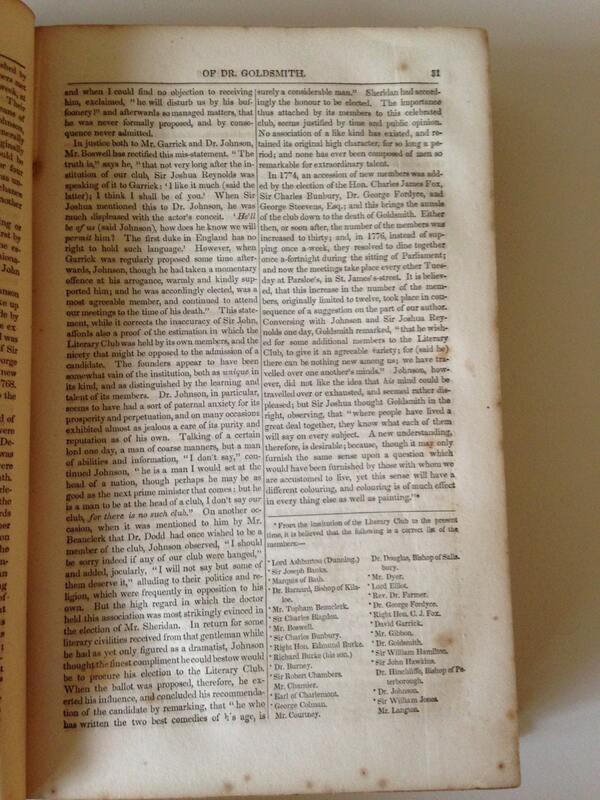 Printed by TK and PG Collins, Phildaelphia. 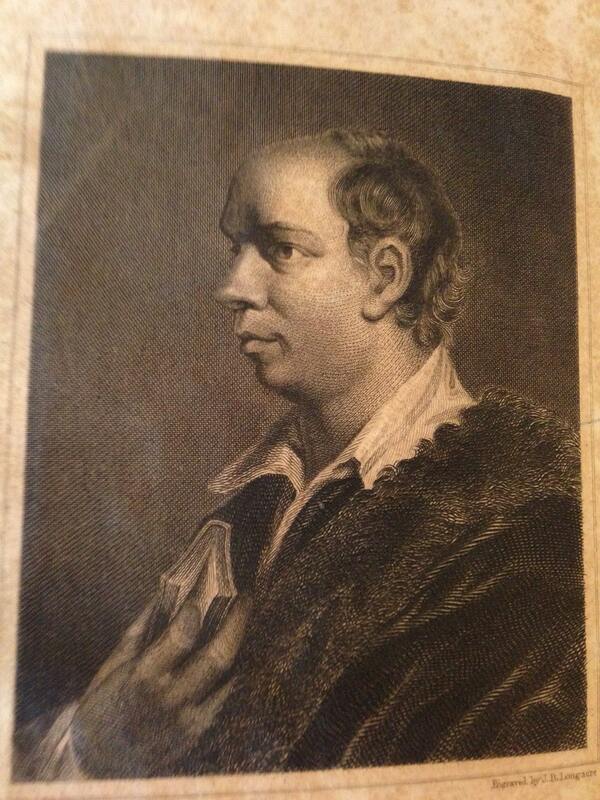 Book has an engraving of the author under an onion skin cover. This volume includes an extensive list of poems, plays, letters, and essays. Also incuded is The Viccar of Wakefield and memoirs. 527 pages with marbled endpapers. 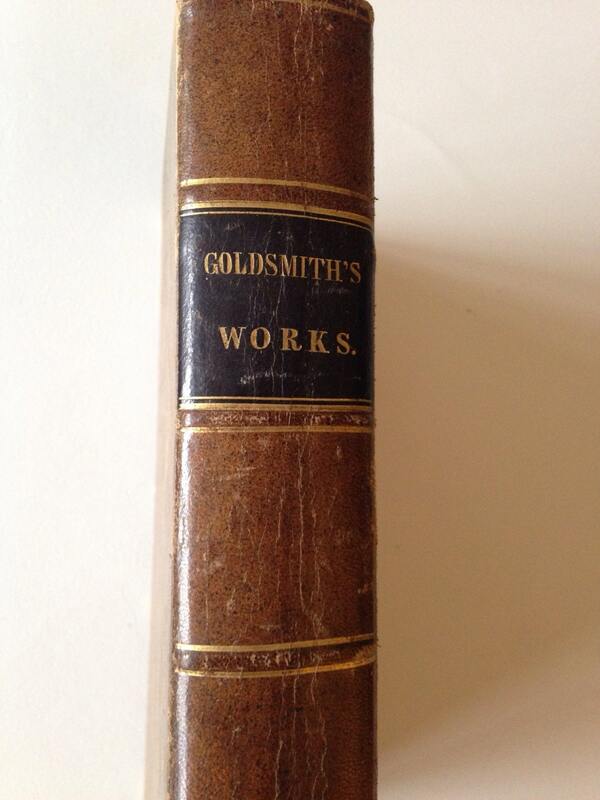 Cover features raised spine ridges, full leather, gilt burgundy spine label, and some gilt embellishment. Cover shows soil and wear and pages are extensively foxed especially at the edges. However, text is bright and clean and the binding seems solid. There is some damage to the title page as shown. Some light child's pencil in the front endpapers. 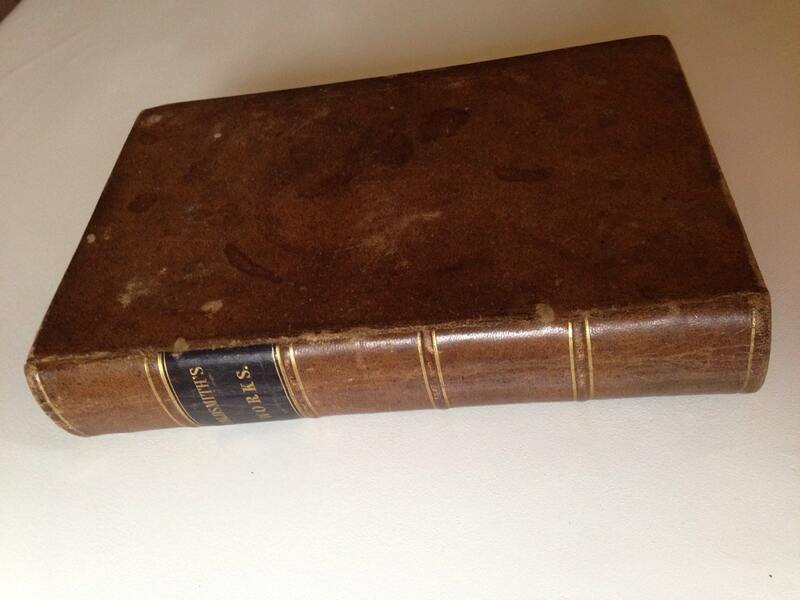 some evidence of creasing of the leather at the spine. Good readable condition and looks great on the shelf.